1. Can you tell us a bit about your organization and your role? The EMEA (Europe, Middle East & Africa) organization is the second largest zone globally for The Kraft Heinz Company with 12 factories and offices in 19 countries accounting for more than 5,000 employees. It is geographically, a very diverse group. I am the Head of People & Performance for the EMEA organization, responsible for Rewards, Talent, Internal Communications and Performance (an area very specific to Kraft Heinz in which I control our target setting system as well as process improvement programs across different functions). 2. Why is diversity, and specifically the advancement of women, so important to your organization? Diversity is key to innovation, and a key driver of growth for our organization. We also know that we provide products to a diverse range of consumers and that women are at the forefront of the consumer decision in many categories. Ensuring that we foster a diverse environment where women are empowered to make a change and advance their careers is therefore imperative for our business. And finally, I am a mother to two girls and a female leader in the corporate world, so the topic is also of huge personal importance to me. 3. Which diversity initiatives do you have in your organization? First and foremost, we have a role dedicated to Diversity and Inclusion at Kraft Heinz EMEA. We’ve developed a comprehensive framework that reviews and works together with all HR pillars and we believe this will be key in helping us foster a more inclusive work environment, improve communication among employees, and enhance everyone’s understanding of the value of diversity. As part of our program, we want to ensure there is enough support for our employees. This is why last year we went through an in-depth review across the zone of our parental policy, to ensure that we support our employees on their journey of becoming a parent. We’ve delivered trainings through our Ownerversity platform to improve our employees’ skills. And we’ve also organized webcasts and brought an external perspective to the challenges women face in advancing their careers. This year will be particularly exciting with a more mature program, with many new initiatives and now with the benefit of LEAD support. We’ve come a long way, but we know that there is still much more to do! 4. 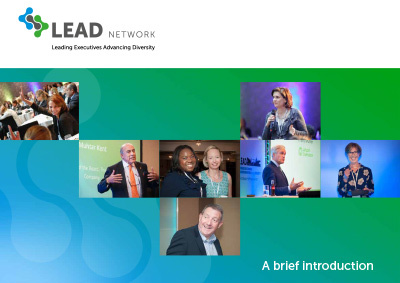 What role does LEAD Network play in reaching your organization’s diversity goals? 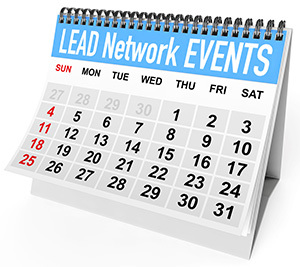 LEAD Network will offer us the opportunity to connect with a strong CPG community where we will be able to share best practices and hopefully, together, create a more diverse and inclusive industry. We are excited about this partnership. 5. What would you like your employees to take away from the LEAD Network? Employees will benefit not only from the exchange with other companies and through the cross-company mentorship programs, but we expect them to lean in directly and become active members of LEAD.